Xu, M., Bao, W., Xu, S., Wang, X., and Sun, R. (2016). "Porous cellulose aerogels with high mechanical performance and their absorption behaviors," BioRes. 11(1), 8-20. Porous cellulose aerogel materials are attracting increasing interest due to their promising potential in multiple fields. In this paper, highly porous and mechanically strong cellulose aerogels were successfully prepared from microcrystalline cellulose and dissolving pulp in ionic liquid BmimCl via a sol–gel polymerization method. The surface morphology and physical properties were characterized by scanning electron microscopy, X-ray diffraction, and compression tests, etc. The differences in microstructure, crystalline structure, and mechanical performance of these two kinds of cellulose aerogels were studied and compared. Moreover, the two cellulose aerogels were used as adsorbents to remove dye, oil, and organic solvents. The kinetics and equilibrium capacity were investigated. Results indicate that the cellulose aerogels with high degrees of polymerization have much better mechanical strength and adsorption properties than the cellulose aerogels with low degrees of polymerization. Aerogels, an important kind of porous material, have been defined as solids having nano-scale pores formed by replacement of liquid in a hydrogel or alcogel with gas (Sehaqui et al. 2011). Aerogels typically display high porosities of up to 99%, and high surface areas usually between 100 and 1000 m2 g-1 (Mukhopadhyay and Rao 2008). As ultra-light materials, aerogels have been used in a wide range of applications (Tsioptsias et al. 2008; Aaltonen and Jauhiainen 2009). To date, in response to the growing need for sustainable and environmental development, the utilization of naturally occurring polymers is becoming increasingly attractive and important. Natural polymers, e.g. chitosan (Ricci et al. 2010), alginate (Escudero et al. 2009), and cellulose (Wang et al. 2012), are promising materials for preparing aerogels due to their excellent biodegradability, hydrophilicity, biocompatibility, low toxicity, and ready availability from renewable resources. In the past a few decades, aerogels from natural polysaccharides have been intensively studied and applied in food, wastewater treatment, sensing, wound dressing, and the pharmaceutical industry (Valentin et al. 2006; Chang et al. 2008; Surapolchai and Schiraldi 2010) . Cellulose, the most abundant natural polysaccharide in the world (Moon et al. 2011), possess unique properties such as nontoxicity, recyclability, and low cost (Guo et al. 2012). As a promising green, inexpensive, and sustainable material to replace the petrochemical derived materials, cellulose is attracting increasing attention. However, cellulose is difficult to process in most solvents because of its insolubility, which results from the strong intra- and inter-molecular hydrogen bonding. Luckily, an innovative class of green solvents-ionic liquids with excellent dissolving capability, recyclability, and negligible vapor pressure have been developed as the alternative and effective solvent for cellulose processing (Hao et al. 2009; Pinkert et al. 2009). For example, ionic liquids with imidazolium structure, 1-butyl-3-methylimidazolium chloride (BmimCl) (Liebert and Heinze 2008) have been used to dissolve and process cellulose into hydrogels and the corresponding aerogels. Tsioptsias et al. (2008) used 1-allyl-3-methylimidazolium chloride for the cellulose dissolution. Cellulose aerogels were obtained with a BET surface area of 315 m2 g-1. They also used rapid decompression of the supercritical CO2 to foam the materials. Aaltonen and Jauhiainen (2009) used 1-butyl-3-methylimidazolium chloride for cellulose dissolution, and regenerated it in aqueous ethanol baths. They obtained a cellulose aerogel with a BET surface area of 539 m2 g-1 by CO2supercritical drying. However, most of the aerogels suffer from a lack of mechanical performance, which has limited their further applications. Therefore, an easier and low-cost way to prepare high performance cellulose aerogels is still desired. Moreover, the properties of the cellulose aerogels reported by different groups show great difference, and the effect of raw materials on the properties of cellulose aerogels is unclear. In this study, two kinds of cellulose aerogels were prepared with microcrystalline cellulose (MCC) and dissolving pulp cellulose (DMCC) by simply regenerating them from their BmimCl ionic liquid (IL) solution using ethanol as a coagulant, and freeze drying them afterwards. The structure and properties of the two cellulose aerogels derived from different raw materials were analyzed and compared in detail. Furthermore, the two cellulose aerogels were studied as adsorbents to remove dye and organic solvents. The absorption kinetics and equilibrium capacity were also investigated. This study presents the possibility to gain functional cellulose aerogels with perfect network structure in a simple and inexpensive preparation. Investigation into the absorption behaviors of cellulose aerogels derived from different raw materials also provides useful information for the application of cellulose-based aerogel as absorption materials. Microcrystalline cellulose (MCC) with a polymerization degree of 280 was supplied by Sinopharm Chemical Reagent Co., Ltd. Dissolving pulp cellulose (DMCC) with a polymerization degree of 884 was supplied by Shandong Bohi Industry Co., Ltd. A whole piece of pulp board was cut into shreds, fed into the shredder, and ball-milled into powder before use. 1-Butyl-3-methylimidazolium chloride (BmimCl) was from Shanghai Chengjie Chemical Co., Ltd. The dye, rhodamine 6G, was from Aladdin Chemistry Co., Ltd of China, and it was used as received without further purification. 20 g of ionic liquid was dissolved in a 50 mL three-necked round-bottomed flask in an oil bath at 110 °C under the protection of nitrogen. Then, the desired amount (0.6, 0.8, 1.0 or 1.2 g) of MCC (or DMCC) was slowly added to the solvent and stirred with magnetic stirring for 4 to 6 h at 110 °C to obtain a transparent cellulose solution (3 to 6 wt%). The solution was decanted into lubricated watch glasses (50 mm diameter, 30 mm height) to give a 10-mm-thick layer, and degassed by ultrasound (100 W, 60 °C). The resulting solution was immersed into an ethanol coagulation (regeneration) bath at ambient temperature, until detected by 0.1 mol/L AgNO3 solution without sediment. The regenerated cellulose alcogel was washed with several changes of ultrapure water to remove residual ethanol, which fulfilled the solvent exchange. The obtained cellulose alcogel was precooled in refrigerator at 0 °C for 12 h. After that, it was freeze-dried to obtain the cellulose aerogel. After frozen brittle failure, scanning electron microscopy (SEM) observation of the surfaces and cross section of cellulose aerogels was carried out using a Hitachi S-4800 microscope (Hitachi Limited, Japan). The X-ray diffraction (XRD) of cellulose aerogel and cellulose was determined by a D/max-IIIA X-ray diffractometer (Bruker Corporation, Germany), in which the high-intensity monochromatic nickel-filtered Cu Kα radiation (λ = 0.15418 nm) was generated at 40 kV and 40 mA. 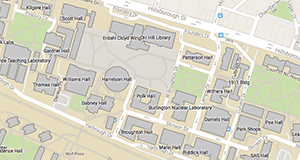 Samples were scanned at a speed of 1°/min, ranging from 2θ = 5 to 50° with step size of 0.02° at room temperature. The compression strength of the aerogels was measured on an Instron Universal Testing Machine 5565 (Norwood Corporation, USA) with a load cell of 2000 N. Before testing, the aerogels were tailored to the same size of 10 mm in length, and the strain rate of 10 mm/min was applied. To evaluate the equilibrium adsorption isotherm of cellulose aerogel, rhodamine 6G was used as the adsorbate. A serial dilution of rhodamine 6G was prepared in aqueous solutions at various concentrations ranging from 5 to 30 mg/L. 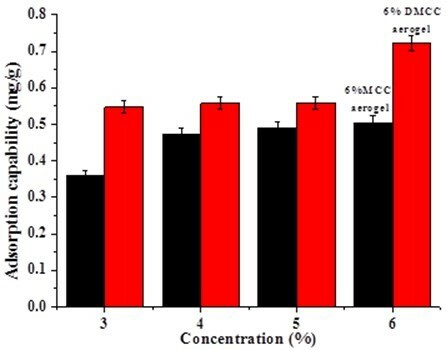 Subsequently, 0.1 g cellulose aerogel and 10 mL rhodamine 6G solution with desired concentration were transferred into a 25 mL conical flask and shaken using an incubator shaker at different temperatures for 24 h.
Briefly, 0.1 g MCC aerogel or DMCC aerogel was added into 10 mL rhodamine 6G solution at an initial concentration of 10 mg/L and placed into a 25 mL conical flask at a constant temperature of 25 °C. Then the solution was carefully withdrawn from the conical flask to be conducted absorbance detection by the ultraviolet spectrophotometer at determined time intervals. where C0 (mg/L) is the initial concentration of rhodamine 6G in liquid phase, Ce (mg/L) is the concentration of rhodamine 6G in liquid phase at equilibrium, V (L) is the total volume of rhodamine 6G solution, and m (g) is the mass of cellulose aerogel. 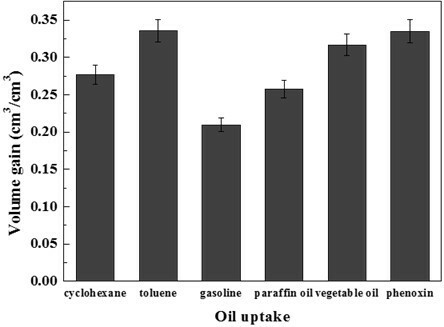 The adsorption of cellulose aerogel on cyclohexane, toluene, gasoline, liquid paraffin, vegetable oil, and carbon tetrachloride was evaluated in this experiment. Similarly, 0.1 g DMCC aerogel was added into the organic solvent, and all the other procedures were unchanged, as mentioned above. Figure 1 is the schematic presentation of the preparation of cellulose aerogels. As shown, in general the cellulose aerogel was prepared by regeneration of the cellulose from its ILs solution and then the resulting regenerated cellulose alcogel was freeze dried. Two different raw materials including MCC and DMCC obtained by shredding, grinding and ball-milling of pulp board were used to prepare cellulose alcogel and aerogel. The images of cellulose alcogels and aerogels are shown in Fig. 2. It can be seen that the cellulose alcogels exhibited good transparency. With the same thickness, the transparency of cellulose alcogels decreased with increasing cellulose content. With the same content of cellulose, DMCC alcogel was more transparent than MCC alcogel. The cellulose aerogel was very light and appeared as a white lump with a rough surface. Figure 3 shows the SEM images of cellulose aerogels. The aerogels obtained by MCC and DMCC showed differences in morphology between the surface and cross sections. The images of MCC aerogels in Fig. 3A and B show a dense surface, whereas DMCC aerogels display a macroporous structure. It can be observed that the inner parts of all the aerogel samples viewed on the cross sections displayed more uniform, nanometer-sized pore structures composed of fibrillar networks (Figure 3E, F, G, and H). Fig. 3. SEM images of cellulose aerogels. A,B,E, and F are Images of 6% MCC aerogel; C,D,G, and H are images of 6% DMCC aerogel; A through D are high-magnification images of the surface; E through H are high-magnification images of the cross section of the aerogels. Powder X-ray diffraction was used to probe the crystallinity of the cellulose raw materials and the corresponding cellulose aerogels (Fig. 4). The original MCC showed peaks at around 16.6o, 22.8o, and 34.6o, which represented cellulose I crystalline structure. However, the peak at 16.6o of the 6% MCC aerogel disappeared, and a peak at 19.9o appeared. This indicated that the crystalline structure of MCC aerogel changed from cellulose I into cellulose II and part of the crystalline region turned into an amorphous region (Zhang et al. 2005; Zhao et al. 2007). At the same time, the diffraction intensity of the new peak had shown a significant drop, which means a drop of cellulose crystallinity in MCC aerogel. The cellulose crystallinity degree in 6% DMCC aerogel also decreased. The mechanical properties of cellulose aerogels were explored. The curves of stress-strain from uniaxial compression of different concentration of MCC and DMCC aerogels are exhibited in the Fig. 5. It can be seen that both curves of MCC and DMCC aerogels presented a linear slope at the initial stage, which was indicative of the elastic behavior of the aerogel samples for small strain values. At the high strain region, the compress stress increased with the strain. The maximum Young’s modulus appeared in the 5% MCC aerogel and 4% DMCC aerogel, and Young’s modulus of 5% MCC aerogel was lower than that of 4% DMCC aerogel. This means that the network structure is more complex and compact in DMCC aerogels. Although the concentration was lower than that of MCC aerogel, the extra cellulose cannot support the strength in the porous structure of aerogels, which stated that the polymerization degree plays a more important role in the mechanical strength of aerogels. The highly porous and interconnected three-dimensional structure of the cellulose aerogel makes it a good adsorbent. Moreover, there are a lot of hydroxyl groups in the cellulose aerogels, which tend to form hydrogen bonds with the nitrogen and oxygen atoms in the rhodamine 6G molecule. Therefore, rhodamine 6G molecules can get into the network structure of cellulose aerogels, and be adsorbed on the surface due to the attraction of hydrogen bonds. 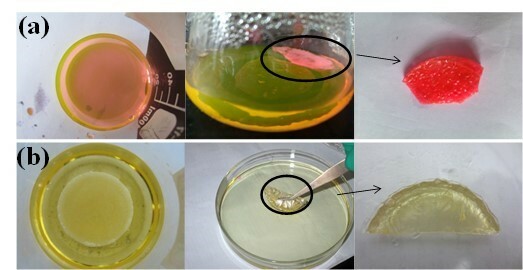 Figure 6(a) gives the visual illustration for the removal of rhodamine dye by cellulose aerogel. It was found that the Rhodamine 6G adsorbed well on the aerogel. Adsorption isotherms of rhodamine 6G is shown in Fig.7a The adsorption of rhodamine 6G increased with temperature from 30 to 40 °C, which presents an endothermic process. According to Langmuir and Freundlich isotherms, the data will be fitted to the models of Langmuir and Freundlich. where qe (mg/g) is the adsorption capacity, Ce (mg/L) is the equilibrium concentration of solute, qo (mg/g) is the maximum capacity of adsorbate to form a complete monolayer on the surface, and b (L/mg) is the Langmuir constant related to the heat of adsorption. Using Ce/qe as the x-axis and Ce as the y-axis, the data can be linearly fitted (Fig. 7b), through which qo and b can be calculated from the slope and the intercept respectively. Values of R2, qo, and b are presented in Table 1. The adsorption capability increased with b value, which increased with temperature, illustrating that the adsorption of rhodamine 6G on DMCC aerogels increased with temperature. This result implied that the affinity of the binding sites for rhodamine 6G increased with the temperature. It is widely known that micropores play a leading role in material transportation providing most of the active adsorption sites. Thus, the increased micropores during the formation of DMCC aerogels can largely improve the adsorption capability. However, the experimental adsorption capacity (qe) was less than the maximum adsorption capacities, which is probably due to some unoccupied concentration. The R2 value of Langmuir model exceeded 0.99, indicating that this model closely matched the experimental data. where b is the Langmuir constant, Co is the initial concentration of rhodamine 6G (mg/L), and RL values indicate the type of adsorption isotherm, which can be either unfavorable (RL>1), linear (RL=1), favorable (0<RL<1), or irreversible (RL=0). All values of RL calculated in the experiment were in the range of 0.9901 to 0.9990 according to the equation (5), illustrating that the adsorption process is favorable for DMCC aerogels. where qe is equilibrium adsorption capacity, and k2 is the second-order constant, which can be determined from the slope and intercept of plot t/qt versus t (Fig. 8b) and shown in Table 2. It shows a good agreement with experimental data with the pseudo-second-order kinetic model. The adsorption process of rhodamine 6G can be summarized as: diffusion stage outside the particle (membrane diffusion), pore diffusion stage, and adsorption reaction stage. According to the theory of adsorption kinetics, the adsorption rate is mainly determined by the first and second stage, between which the slower one controls the adsorption velocity. where F = qt/qe, and K is the rate constant. The linear fit –log (1-F2) and ln (1-F) versus time, respectively (Fig. 9), and the fitted equations and models are shown in Table 3. Table 3 shows that a better linear relation is obtained with the DMCC aerogels. However, all the fitted lines failed to pass through the origin of the graph, which indicates that the processes of diffusion inside the particle and liquid membrane diffusion influenced the adsorption on cellulose aerogels. The adsorption process was determined by their combined effects. From the above study, the structure and diffusion of pores inside aerogels are varied depending on the types of cellulose with different polymerization degree. The different adsorption capacities of rhodamine 6G on aerogels are shown in Fig. 10. Figure 10 shows that the adsorption capacity increased with the concentration of cellulose. 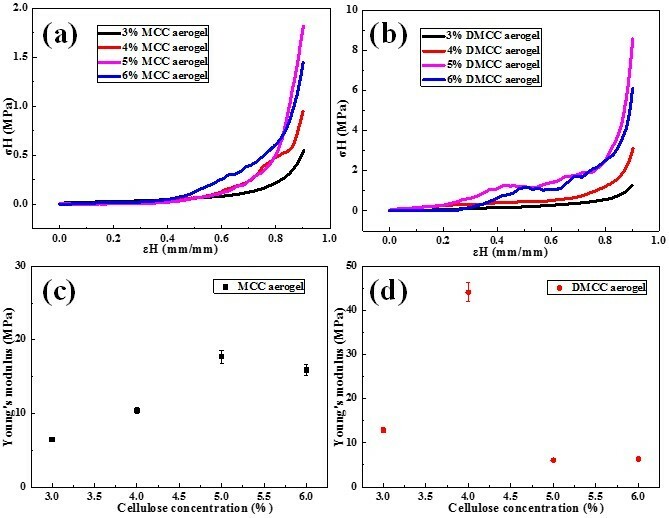 For the same concentration, the adsorption capacity of DMCC aerogels was higher than MCC aerogels. The adsorption capacity increased with the increasing density of aerogels, and the density of aerogels increased with the increasing concentration of cellulose. In this experiment, 0.1 g 6% DMCC aerogels was used to adsorb oil and organic solvents. As shown in Fig. 6 (b), the aerogels became transparent and hard after adsorption, and the adsorption efficiencies are presented in Fig. 11. When the aerogels were immersed into the liquid, they immediately started to adsorb the organic compound and turned transparent immediately. After 24 h adsorption, the aerogel got hard gradually. Measuring the weight of aerogels after 24 h, the adsorption volume can be calculated from density. From the data, the maximum adsorption volume was obtained, and it reached 10 times that of the aerogel. When the organic solution was colored, such as gasoline, the aerogel gained the same color with the solution during the adsorption process. However, after the solution that had been adsorbed inside the aerogel had become volatilized, the colored matter remained in the aerogel, and this darkened the aerogel. The mechanism remains to be discovered. 1. Cellulose aerogels were successfully fabricated by a sol–gel polymerization method by using microcrystalline cellulose and dissolving pulp as raw materials in ionic liquids BmimCl. 2. The prepared cellulose aerogels were found to have high surface reactivity, extra-high porosity, and highly mechanical properties. The highest Young’s modulus was observed in the 5% MCC aerogel and the 4% DMCC aerogel. 3. The ability of cellulose aerogels to adsorption rhodamine 6G and organic compounds was tested using equilibrium, kinetics, and the adsorption experiments, which confirmed cellulose aerogels to be effective adsorbents for the adsorption of rhodamine 6G and organic compounds. The good adsorption ability towards rhodamine 6G and some organic compounds would make cellulose aerogels a viable candidate for efficient absorbents for the purposes of storage, clean-up, and the safe disposal of organic pollutants. This work was financially supported by the Science and Technology Program of Guangzhou, China (2014J4100039), the New Century Excellent Talents in University (NCET-13-0215), the Fundamental Research Funds for the Central Universities, SCUT (201522036), the Independent Study Projects of the State Key Laboratory of Pulp and Paper Engineering (2015C08, 2015ZD03) and the Opening Project of the Key Laboratory of Polymer Processing Engineering, Ministry of Education, China (KFKT-201401). Liebert, T., and Heinze, T. (2008). “Interaction of ionic liquids with polysaccharides. 5. Solvents and reaction media for the modification of cellulose,” BioResources 3(2), 576-601. Article submitted: July 23, 2015; Peer review completed: September 13, 2015; Revised version received: October 16, 2015; Accepted: October 17, 2015; Published: November 5, 2015.